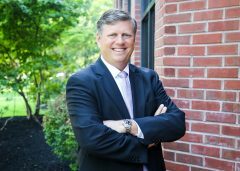 Mark is the Managing Partner of AP Professionals of New York which includes our three offices in Buffalo, Rochester, and Syracuse NY. Mark Founded AP Professionals of Rochester in 1996, and has recruited and sold in the staffing industry since 1987. Mark also has ownership in our AP Arizona office and the newly opened office in Portland, Oregon. Joe is the founder of AP Professionals. AP and its related affiliate companies currently employ over 800 people with offices throughout the US, Canada, South Africa, United Kingdom, and the European community. Tom joined AP in 1996 as Managing Partner and CEO of its IT division. He is responsible for strategic management and long range planning. Tom has an MBA from Widener University and a BS in Computer Science from Rochester Institute of Technology. Jerry started his sales career with Burroughs, selling mid-range and mainframe solutions to the Manufacturing segment. Jerry then moved to ADP, spending 13 years developing the Syracuse, NY market, the last seven years as VP of Sales. Jerry left ADP to focus on developing staffing solutions for the IT marketplace. In 1998 he started AP Arizona where he and his staff have placed nearly 1,000 IT professionals in contract and permanent placement positions. Jerry has a Masters Degree in Accounting from Syracuse University.